Last week’s “No Week” when I decided we were going to slow down and say “no” to extra activities turned out to be a big joke on me. In the seven days immediately following my post on being intentional about staying home, each member of our family went down with a 12-hour stomach bug. Yes, even the eight-month-old. We were homebound beyond what I had even planned for a stay-at-home week. And I thought I was so clever. A library trip right before the sabotage of our week saved us from utter desolation. We made the trek to the big library downtown and found some gems. My personal favorites are the vintage ones this time. 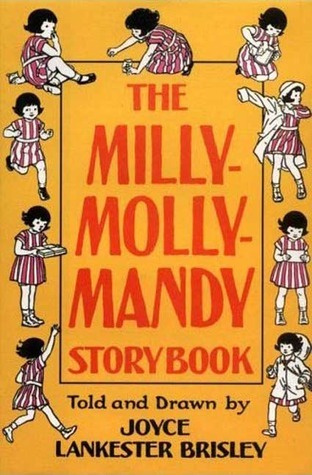 We are all tickled with The Milly-Molly-Mandy Storybook by Joyce Lankester Brisley. It was published in 1938, so there are some times I have to explain phrases or why a six-year-old can go on errands, but otherwise it is a perfect read-aloud for my kids. Each chapter is a self-contained story that only takes about ten minutes to read. The themes are lighthearted and quaint, but relevant at the same time. The feel of the book is very similar to Betsy-Tacy by Maud Love Hart. It would be a great book to read before the Betsy-Tacy books for children in kindergarten. And I am totally in love with the illustrations! I want to hang them on the walls of the kids’ rooms. If you struggle to find chapter books for preschoolers or kindergartners, this one is perfect with it’s short chapters and age-appropriate themes. 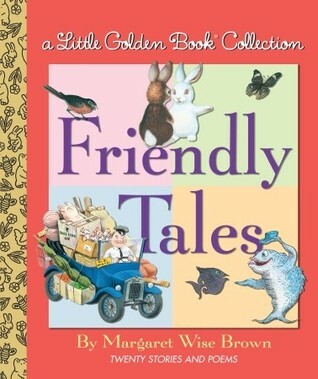 My other favorite of the week is Friendly Tales, a collection of stories by Margaret Wise Brown that does not include Goodnight Moon, thank the Lord! I can only read that one so many times…though I cannot deny the words and images have become kind of comforting and nostalgic, even while they make no sense. But in Friendly Tales, you get to read The Color Kittens, The Sailor Dog, and The Burglar in the Dark. My three-year-old son especially enjoys this book. He loves the stories that feature “The Fat Little Police Man,” and I agree they are fun, but I have a feeling we’re going to have to be careful about terminology for describing people in the future. 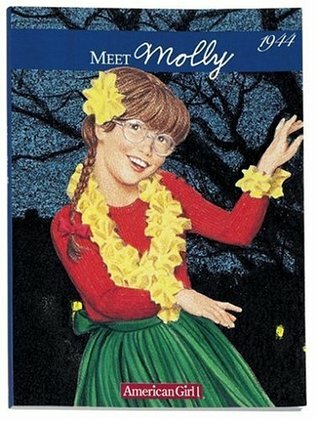 In non-vintage news, I’ve successfully turned my five-year-old daughter into a fan of Molly in The American Girl Series. I have been patting myself on the back for this accomplishment all week. Like I’m the one who wrote such great books…thanks, Valerie Tripp! We read the first two in the series, and are eager to get to Molly’s Surprise. I love how these books make history more relative for children because they get to know a character who actually lives the history. I’m not sure if we’ll branch out to the other characters yet because the themes can get pretty intense. Maybe we’ll do Samantha next, though. So that’s what I’ve been reading with my children this week. As always, I’d love to hear what you’re reading, too!